Right now I find my self hopping mad and very frustrated. About 6 months ago I purchased a Toyota Rav4 for myself that needed some rear end body work done on it. We completed the repairs with the skill and quality of work that we perform on every vehicle that comes through our shop here. This vehicle was here strictly for rear end body work. There was no visible damage on the front of the vehicle and we had no reason to tear it apart and look. But, once we were done with the work on the rear of the vehicle and were preparing to finish the vehicle so that I could purchase it, our technician noticed an issue with the front of the vehicle. Upon closer inspection, it came to our attention that there had been previous damage done to the front of the vehicle. It appeared that the repairs had been completed by another auto body shop in the Wausau area. However, the repairs were really NOT completed at all. Things were held together with a wing and a prayer. So, we spent an additional $1,100 to complete the repairs that someone else had already thought they had paid for. So, now I take my vehicle into the local Toyota dealership to perform the factory recalls that are on my Rav4. However, I recieved a disturbing phone call from the dealership. They were unable to perform the safety recal of the airbag coil spring. Apparently when the other body shop was busy NOT completing the front end repairs properly, they also did an unsafe job of replacing the air bag. They had utilized a shoddy, back yard, unethical fix on the air bag connectors. Now I have to replace the air bag at a significant cost out of my pocket. 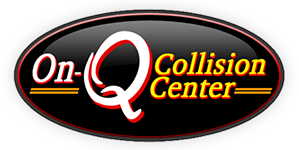 I get so frustrated when people ask me what makes On-Q Collision Center any different than any other collision repair center in the Wausau area. HERE is a prime example. We DON'T cut corners. We DON'T rip off insurance companies NOR our customers. Our customer safety is our #1 concern. We couple that with a quality repair and take great pride in accomplishing that. I am very proud of our technicians, our ethics and the quality of work we perform here at On-Q Collision. If you are looking for an automotive repair in Wausau where people actually care about the customer, give us a call. Let us show you the passion we have for quality.